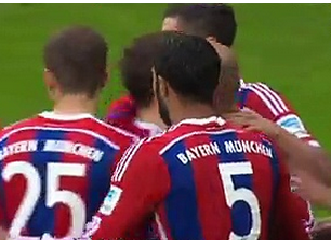 Bayern Munich vs Hamburger match ended with 8-0 scoreline inGerman Bundesliga 2015. FULL TIME: BAYERN 8-0 HAMBURG. The hosts stamp their authority atop the table with an emphatic victory over their lowly opponents. The goals started early and never stopped, as Die Roten contribute the worst defeat for Hamburg in their history in the Bundesliga. Full Time Score : Bayern Munich 8-0 Hamburger.